The Arizona Republic’s E.J. Montini opined the other day Yo, Gov. Ducey, still support your pal Joe Arpaio? Gov. Doug Ducey is not ready to put any distance between himself and Joe Arpaio. “Let’s see how the court hearings play out,” the governor said in response to a question of whether he still supports the sheriff. The comments came at the end of a week of testimony by the sheriff and some of his top deputies at a federal court hearing to determine if Arpaio should be found in contempt of court, including a bombshell admission by Arpaio that his attorney hired a private detective to investigate the wife of the judge hearing the case. Ducey showed no regret about accepting the sheriff’s endorsement, saying Arpaio deserves some praise. Still, the governor is keeping open his option to change his mind. “Let’s see how the court hearings play out and then I’ll have further comment,” he said. I’ll bet. A criminal contempt referral and the DOJ reopening its abuse of office investigation, and Ducey will be ready to throw his man under the bus. “Let’s wait and see how it all plays out” is an awfully tepid stand by your man moment. 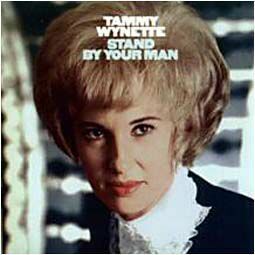 Tammy Wynette wouldn’t stand for it. She’d label Ducey a chickenshit in a heartbeat. Reading between the lines, it’s very easy to see what Mr. Ducey is saying: I want to be re-elected. If criminal charges are filed against Arpaio, I’ll cut and run. Pretend I never knew the man, even. Sheriff who? I’m not terribly surprised at the reluctance of elected GOP figures to stand by their Sheriff. What’s surprising is the absolute silence from the right wing punditry in Arizona. Espresso Pundit Greg Patterson? Not one word. Patterson stood by his man Russell Pearce to the very very bitter end. Ditto for Andrew Thomas. Patterson predicted an upset victory by Thomas in last year’s GOP gubernatorial primary. He stood by Pearce from JT Ready to Olivia Cortes to forced sterilizations. But not a word of support for Sheriff Joe. Not even his standard blog piece blaming everything on biased coverage by the AZ Republic. Haven’t heard a word from from Andy Thomas or Paul Babeu either, nor from Russell Pearce. Sonoran Alliance? Seeingredaz? The silence of the lambs. Deafening.